Bradley Willoughby, M.D. 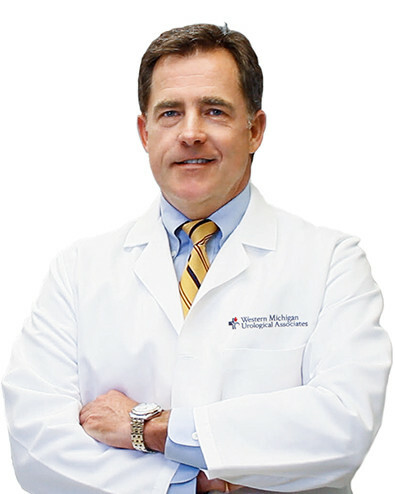 is a board-certified urologist with Western Michigan Urological Associates. He is a fourth generation physician and a Michigan native who earned his undergraduate degree at Alma College. Dr. Willoughby obtained his medical degree from the University of Michigan Medical School and completed his internship and residency at the University of Iowa Hospitals and Clinics. 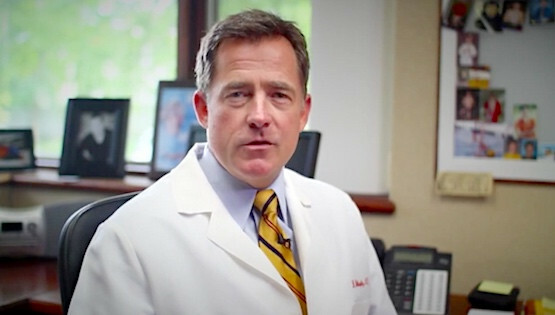 In addition, Dr. Willoughby received a clinical fellowship in Urology Oncology through the American Cancer Society and has advanced training in laparoscopic surgery, incontinence techniques, and robotic surgery. He is skilled in all facets of adult and pediatric urology and was one of the first urologists in Western Michigan to become certified on the da Vinci® robotic surgical system. Dr. Willoughby became a physician because of the great opportunity to help others and stay intellectually stimulated lifelong. His most rewarding moment as a physician is successful cancer surgeries – seeing the looks of fear and anxiety change to relief and joy on the faces of the patients and their families. He is involved with the Western Michigan Urological Association, the American Urological Association, active with the Luke Society and volunteers for the Honduran Medical Mission and the Albanian Medical Mission. Dr. Willoughby is married and has one son, Harry, who is a midshipmen at the USNA. When he is not giving presentations and lectures on Prostate Cancer, da Vinci Robotic surgery, Incontinence or Treatments of Benign Prostatic Hyperplasia, he likes playing platform tennis, golf and bicycling. “The Urology care available here is second to none. Our continuing educational and academic endeavors, combined with the modern, full-service facilities provided by the hospitals we cover – allow my team and I to continually strive to provide the most cutting edge urology services,” says Dr. Willoughby. If you would like to schedule an appointment with Dr. Bradley Willoughby, you can use our CONTACT FORM or call us at (616) 392-1816 to request an appointment.